Media Shower is a business and content marketing platform designed to help new blockchain companies to grow and succeed. With the help of its story creation tools and a team of analysts, startups can launch their blockchain projects with the right budget, timing, and partners. In this article, we cover its pricing info. Ready to get started with Media Shower? Contact their support team for more information. As of the date this article was written (11/21/18), there are no up-to-date Media Shower reviews online. If you are a past or current Media Shower customer, leave a review to help other business owners who are deciding whether or not to use the software. Media Shower’s pricing is not readily available on their website. However, the company estimates the total budget for a token sale, which is the launch of a blockchain company, to cost around $490,000. You may contact their sales team to obtain more details and request for a quotation. 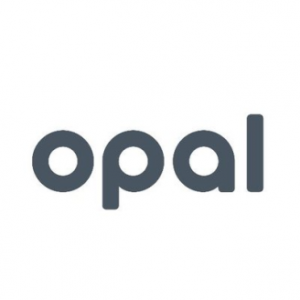 The token sale budget includes all efforts relating to strategy building, the product itself, legal and advisory concerns, marketing, and token distribution and auditing. The marketing budget alone (which includes website creation, content creation and marketing, social media, press releases and PR, roadshows, advertising, listing and posting fees, and community and investor relations) is estimated to cost $255,000. Ready to get started with Media Shower? Contact their support team for more information. A “story” is brochure-type digital content (also called a “conversion page”) that startup blockchain companies can use to present to their prospective investors. This page highlights the company’s profile, features, strengths, and other information that will help it attract investments. I am interested in launching my blockchain business. Where do I begin? After contacting the company for more information about their services and pricing, the discovery process starts. This is when a team of analysts meets with you through an in-person session or video conference to discuss your project. This workshop takes half a day to a full day, depending on your business needs. 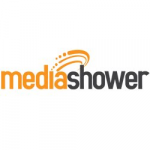 Not sure if Media Shower is the right fit for you? Read our reviews of all top content marketing software providers or check out one of these three Media Shower competitors.